Holmes Educational State Forest provides a unique outdoors experience. Holmes is located in the Blue Ridge Mountains. With rugged terrain, numerous rock outcroppings, and scenic vistas, it also offers a rich mixture of mountain hardwoods, rhododendron, flame azaleas, and a variety of wildflowers. 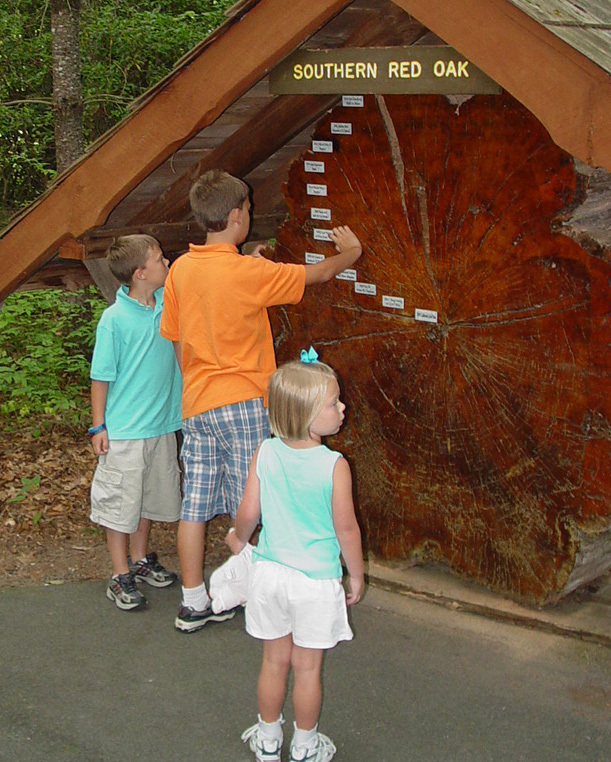 These features are accessible by a series of well-marked trails, which are accented by exhibits and displays depicting the ecology of the managed forest.. There are NO fees for any program at the forest.